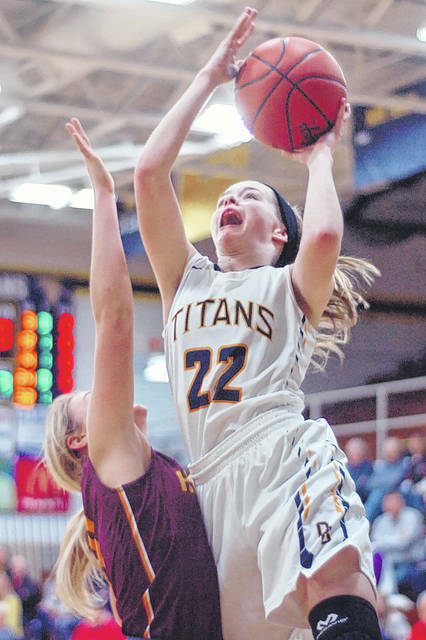 Ottawa-Glandorf’s Brianna Schimmoeller goes up for a shot against Kalida’s Taylor Lucke during Saturday’s gameat Ottawa-Glandorf High School. See more game photos at LimaScores.com. Kalida’s Sarah Klausing fights for a rebound against Ottawa-Glandorf’s Mackenzie Meyer, left, during Saturday’s gameat Ottawa-Glandorf High School. Ottawa-Glandorf’s Ashley Schroeder drives to the basket against Kalida’s McKayla Maag during Saturday’s gameat Ottawa-Glandorf High School. The host Titans won the rebound battle 26-22 and committed 20 turnovers to the Wildcats’ 32. O-G’s Brianna Schimmoeller and Kalida’s Sarah Klausing, Taylor Lucke and Kara Siefker each had nine points. LIMA — Ryann Miller had 10 points and Destiny McDonald and Latone Cowan each scored nine for the host Spartans (1-1). FORT RECOVERY — Alex Debell and Jessica Kahlig each made a free throw in the final 11 seconds as the visiting Redskins outscored the Indians 12-4 in the fourth quarter. Jessica Davis and Lexi Jacobs each had 10 points for Wapak. Carley Stone had 12 points and Grace Thien scored seven for Fort Recovery. COLUMBUS GROVE — Bath bounced back from a 29-24 halftime defict to lead 38-37 after three quarters. Hale had 14 points and Ketcham scored nine for Bath. McCluer had 20 points and Sybert scored 11 for Grove. HOLGATE — Koenig had 16 points and five rebounds and A Kuhlman scored 10 for Miller City, which outrebounded Holgate 32-25 and committed 18 turnovers to the Tigers’ 13. 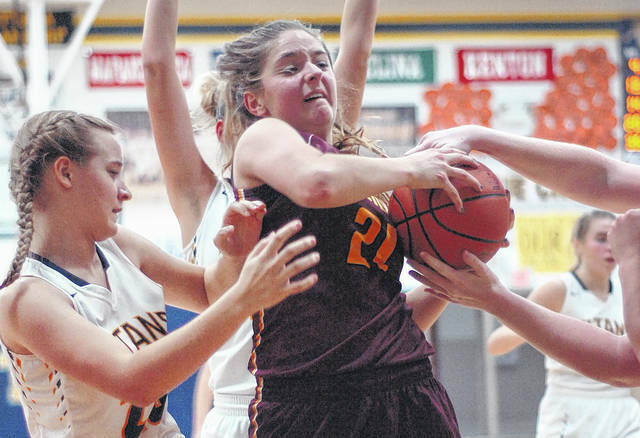 CELINA — Kelly Naylor had 13 points and Jane Homan scored nine for the visiting Cardinals. Makenna Klingshirn had 12 points and Lauren Jackson scored nine for the Bulldogs. SYCAMORE — Sami Roth had 10 points and Zoe Chisholm scored nine for C-R (2-3). 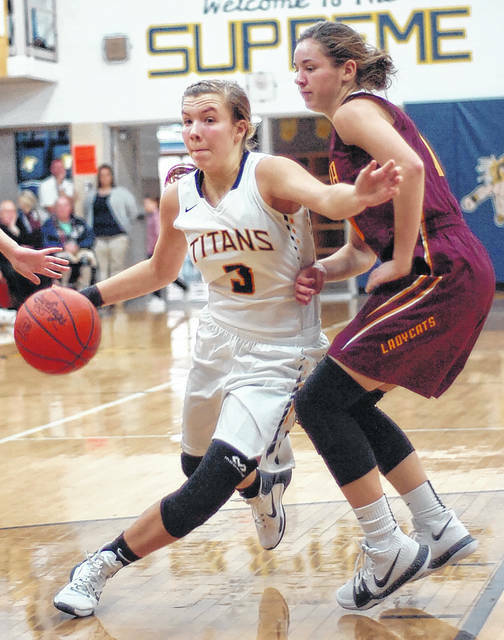 DOLA — Maddie Grappy had 10 points and Quinn Stewart-Evans scored nine for Hardin Northern.